Most registrars will just have you fill out a form and don't inform you of all the required steps beforehand. There are actually many requirements and pitfalls that apply to the domain transfer process with all registrars. To ensure that your domain transfer goes as smoothly as possible, it is recommended that you read the article below. To transfer your domain name registration to BIP media please follow the directions below. Registration transfers usually take 5 to 7 days to process. There are two settings that must be correct on your domain in order to make the domain transfer successful. Please check these two settings before submitting a transfer request. Email Address: You must check to make sure the email address on your domain is correct and working. Once you start the transfer, the current registrar is going to email this address asking for permission to move the domain. If the email listed isn't your email or doesn't work, you can't respond to this email and the transfer will fail. Domain Lock: You must make sure the domain isn't locked. If it is locked, even if you agree to the transfer, the transfer will fail. 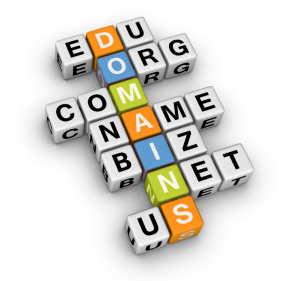 Type your domain name (e.g. yourdomain.com) in the Whois Lookup field and click Submit. In the Administrative Contact field, check to ensure that your email address is correct. Under Status, if the status says "locked," you must get this changed before initializing the transfer. To have the above settings altered, you must contact the registrar (the company where you bought the domain) and ask them to make the necessary changes. Some registrars let you make these changes yourself from within their control panel. Make sure the WHOIS information is up-to-date. Make sure you have access to the email address stated in the WHOIS Information. WHOIS protection must be turned off. Confirm the domain is at least 60 days old. Confirm that the domain is not within 7 days of expiration as a domain transfer that is interrupted by the domain expiring will not complete. If expired, confirm that the domain is no more than 30 days past the expiration date. Update name servers to the BIP media name servers prior to initiating transfer. Retrieve the EPP Authorization key from your current registrar. Check your Inbox and Spam folders frequently over the next week to ensure you get this key or the reason why it failed as soon as possible. Please review the Pre-Transfer Checklist above. Enter your domain in the text field in the center of the page and click Check Availability. After confirming that the domain meets all criteria to transfer, click Add To Cart. Then click the Express Checkout button. If you would like to purchase Domain Privacy Protection with the transfer service, keep the Domain Privacy Protection box checked; otherwise, uncheck the box. Enter the EPP Key you received from your current registrar. Once you have read the Terms of Service, check the box to confirm that you agree. After submitting the request, you will receive an authorization email to the registrant email address on the domain; respond to this accordingly with your confirmation. You may need to whitelist or add info@BIPmedia.com to your email address book to ensure that you receive the domain transfer authorization email. If you do not receive and follow the directions in the email, your domain will not be transferred. The domain transfer process requires that you pay immediately with credit card. If you cannot pay with credit card, or if the domain name you want is not listed in our drop-down box, please submit a ticket so we can assist you. If you make any changes to the name servers or contact information at the registrar, you must request a new EPP code from the registrar, as it may have changed. Domains can be transferred while they are expired, but not while in redemption. While you can transfer an expired domain name, no updates can be made to an expired domain. So if you need to update your email address to a new email address, you would need to renew the domain name with the current registrar before you can update the information. While it may be possible to transfer a domain while it is expired, in most cases, it will not work due to issues such as being locked or having outdated outdated contact information, etc. If you wish to attempt to transfer a domain while expired, make sure you monitor the transfer carefully so that if it fails, you can renew it prior to it going into redemption. You may not transfer a domain unless it has been at the current registrar for at least 60 days. If you transfer a domain to us which has been renewed at the previous registrar less than 45 days ago, the domain will not receive an additional year when the transfer completes. If you transfer the domain after 45 days of renewing it, then you will receive an additional year added to your registration. This is a registry restriction that applies to all registrars.